Port Reports are a new series of quick first impressions of the technical aspects of a PC game. This report was written by PCGamingWiki contributor hungry_eyes. For an up to date account of Cities in Motion 2′s fixes and improvements, please visit its respective PCGamingWiki article. 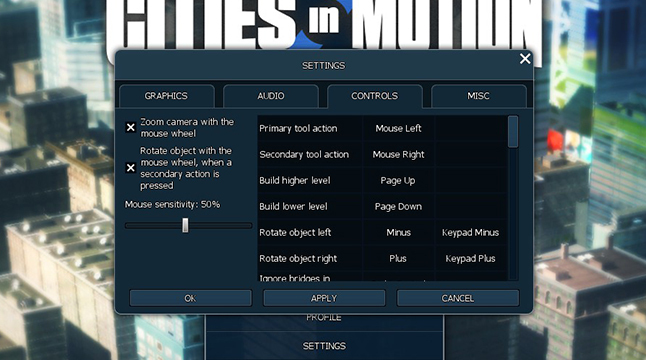 As a series, Cities in Motion has been a relatively solid PC experience for those with medium to high-end setups, thanks in part to its substantial modding community, centred around fan-site CiM Exchange. 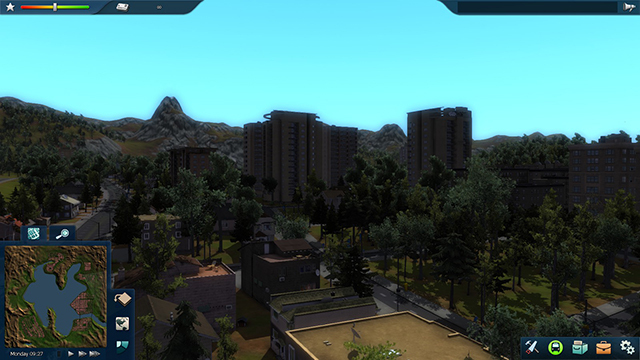 For the first game, fans produced numerous mods; including those that improve camera control functionality, timetabling UIs, and those that add new vehicles and cities. However; as a standalone experience, the first game was notable for being rather poorly optimised, offering low performance on less powerful graphics chipsets that would have been able to cope had the game been optimised more effectively. Furthermore, users playing on AMD rigs also reported issues with getting the game to run at all, a factor that significantly hindered the game’s credentials. For Cities in Motion 2, developers Colossal Order promised a better game, with the switch from an in-house proprietary game engine to making use of Unity 3. This report will decide whether or not Cities in Motion 2 proves to be a polished PC experience as proclaimed, or one that needs serious modification. 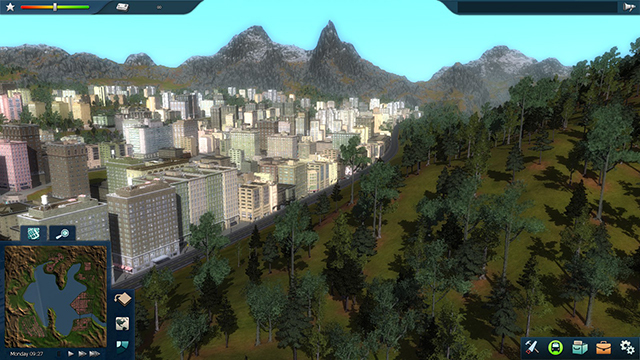 As with the first game in the series, Cities in Motion makes use of Steamworks, meaning that regardless of the format of, or location where the game was purchased it will bond with a Steam account – this is a distrubition format that has proved less controversial in the past than either of its rivals Games For Windows Live (GFWL) or EA’s Origin. The game does make use of the system, however, in order to provide the player with a multitude of Steam achievements. Cities in Motion 2 offers beautifully realised fully 3D cities for players to explore and adapt, with realistic shadowing, reflections, particle effects and water movements on its highest settings. Not only this, but even those playing on medium strength setups should be able to run the game on high or ultra, which come with a substantial improvement in visual quality – as is noticeable above. However; those on low end systems will struggle even on the lowest of settings and may wish to resort to turning down the resolution. If there was one problem with how the game looks its that there isn’t a considerable frame rate improvement for dropping the game down to its lowest settings when your system is struggling. Cities are generally quite dense and therefore zooming to a closer level can see considerable drops in frame rates, although this seems to sort itself out rather quickly once zoomed in. Furthermore, importantly, for users of NVIDIA’s Optimus technology, the game will auto-select your integrated graphics card, and you must force it to use your dedicated card through the NVIDIA Control Panel. For instructions on how to do this, see here. Although not widely reported, when testing I did encounter an issue whereby trees, and occasionally buildings would appear in black squares, as demonstrated below. If you’ve experienced this issue yourself, from what I can tell the boxes seem to disappear on their own when the viewing angle is changed. There is currently no known permanent fix for this issue. The number of custom graphics settings available to the player is good, allowing individual adjustment of many graphical features. Also, rather impressively, CiM2 allows instantaneous in-game editing of all graphics settings, without even a moment of pause to apply them. This is useful when deciding the graphics settings that are best for your system. The windowed mode offered by CiM2 is poor – it cannot be stretched to fit the screen and in-game text is notably distorted when using it. There is no option for borderless fullscreen windowed, a popular solution for those who like to alt-tab in-game. It is disappointing to see a merely on/off option for anti-aliasing considering the considerable scope of each city – the effect of this option does little and has little impact on performance, as seen below. Surprisingly, there is actually very little difference between the various texture detail levels – the image below shows the difference between low and high. The difference is most notable when zoomed out or focused on trees, but there doesn’t seem to be any real change to building textures. Although many of the games controls are rebindable using the in-game options menu, there have been numerous control changes over the previous game and significant omissions which have caused controversy amongst fans. One of the missing aspects is the ability to pan around the screen by moving the mouse pointer to the edge – currently the screen must be panned using WASD or by pressing CTRL and using the mouse. This looks to be remedied soon however – Paradox have said it is coming in the next patch. Many fans are complaining of an ugly and unergonomic UI that hinders the game experience. Personally, I agree – the user interface is very text heavy (perhaps expected in a simulation game of this kind), but also unintuitive: you have to keep swapping between different menus when you merely want to set up a single route. Because of the way the menu system works, you can quickly end up with a cascade of windows clogging up your screen, with little idea of what many of the options actually do. This isn’t helped by the tutorial, which is very text based. Users are presented with walls of texts which require careful study and are not an easy read. However, this is something currently being looked at by the developer. On launch, users have reported major issues in even trying to join a multiplayer game, however this seems to mainly be centred around the need to port forward. Other multiplayer issues reported include frequent timeouts – to which Colossal Order have acknowledged the problem and promised a fix soon. As with any Paradox game, CiM2 has a number of significant bugs upon launch. There is more information and relevant fixes available on the relevant PCGW page here, but it past experience should be telling you anything, its that these gripes will eventually be worked out with frequent patches and substantial user mods. Overall, CiM2 is a game with a lot of problems right now. It does many things right – it has numerous graphics settings, frame rates remain relatively stable and the game world looks good; but currently, bugs, a difficult to navigate user interface and control gripes detract from the experience. It’s good to see that Colossal Order and Paradox have already responded to many user issues and started working on fixes – this is something we should be seeing from more developers and publishers these days. In its current state, however, there doesn’t seem to make me recommend it over the first iteration, which still looks and feels good considering its age, and has had most bugs and issues fixed with a variety of patches and user mods. Cities in Motion 2 may well be a game to recommend in the future, when it has received the attention it deserves from its developers, but at the moment, you’d be better off saving some money and purchasing the original. For an up to date account of Cities in Motion 2′s fixes and improvements, please visit its respective PCGamingWiki article. Fantastic job on the report. It’s quite disappointing that Paradox keep putting out games that need to be fixed so drastically.. they should have enough in their pipeline that they can hold these things back for another month right? The important thing to remember is that this and others like it are niche titles where bugs, performance problems and lack of polish is to be expected. A game like Cities in Motion being buggy is unfortunate, but it is not the same as an EA game being buggy and unpolished. That being said, I will hold off for a little while before purchasing it, but I’m not personally mad or anything. I loved the original and it also ran like crap when the transit system ballooned. 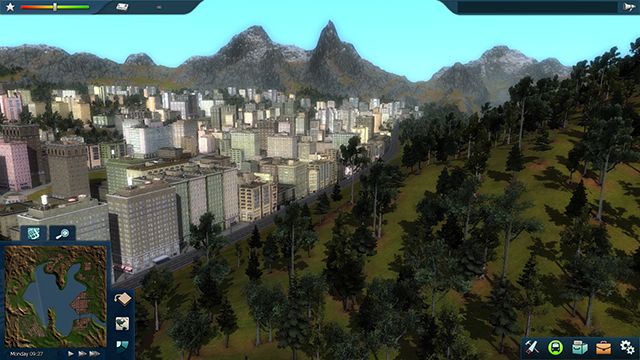 This was also the average experience with SimCity 4 when it came out. I’ve filled in the article with information from this. If you can help finish it up, hungry eyes, that’d be appreciated. Does anyone have any idea what engine the game uses? Sure thing I plan on adding a load of stuff in tomorrow. Game uses Unity 3. Awesome, thanks. Do you know if the first does as well?